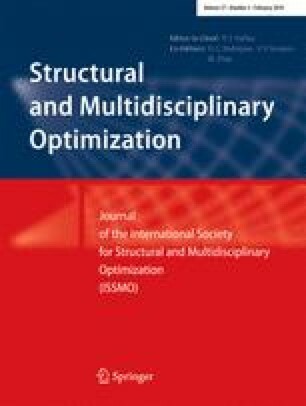 In this paper, flaw detection of two-dimensional structures is carried out using the extended spectral finite element method (XSFEM) associated with particle swarm optimization (PSO) algorithm enhanced by a new so-called active/inactive flaw (AIF) strategy. The AIF strategy, which is inspired from earthquake engineering concepts, is proposed for the first time in this paper. The XSFEM is employed to model the cracked and holed structures, while the PSO, which is a suitable non-gradient method for solving such problems, is employed to find crack location as an optimizer. The XSFEM consists of remarkable capabilities with the main features of spectral finite element method (SFEM) and extended finite element method (XFEM) to analyze the damaged structures without remeshing, leading it to be a proper approach in iterative processes. Moreover, the XSFEM enhances the accuracy of wave propagation analysis, and decreases computational cost as well in comparison with the XFEM. The application of XSFEM in damage detection of structures is studied for the first time in this paper. Furthermore, the AIF strategy is proposed in order to handle a simultaneously discrete and continuous optimization in an efficient way reducing computational effort. Considering the AIF as a universal strategy, it can be used in any meta-heuristic optimizer. In this research, the PSO is seeking for geometrical properties and the number of flaws in order to detect them by minimizing an error function based on sensor measurements. To overcome the challenge of unknown number of flaws, the proposed AIF strategy is employed in the PSO. Several benchmark examples are examined to evaluate capability and accuracy of the proposed algorithm for detection of cracks and holes. The authors wish to acknowledge and express their special gratitude to anonymous reviewers, for their constructive advices that improved the manuscript.